Goodbye beautiful Dolly (picture above), and a fond farewell to Chicory, Barbie and Nettle. You will be sadly missed. I love you all very much! Thank you for everything you taught me, for tolerating my presence in your space and for putting up with all my questions. My entire brain space has been intensely focused on the cows for a few days. Most of that time hasn’t been spent in their company at all but instead trying to organise things & communicate with man people online – something that I’ve had to take a break from as it can over-stimulate my mind & keep me awake at night. I lie there in bed thinking about what could be done again and again… and I end up feeling awful because that’s all I can think about, my mind is always elsewhere and I end up not being present for my family and neglecting them. Yesterday was both beautiful and sad at the same time. I had such a lovely time in the afternoon! 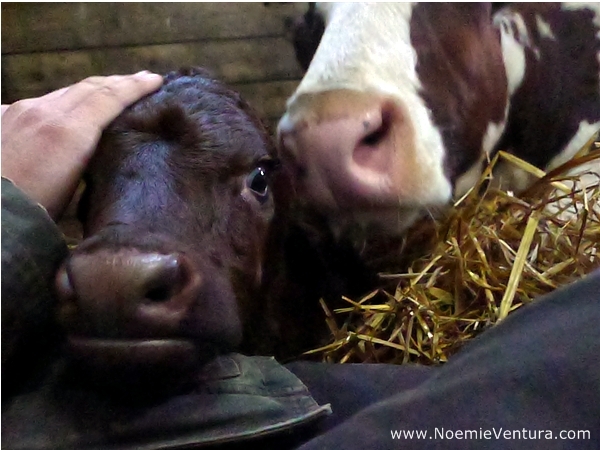 I felt extremely lucky to spend two hours sat in the barn, sharing some precious time with the cows with such lovely people! I’m always amazed how groups of people create themselves in such an organic way! 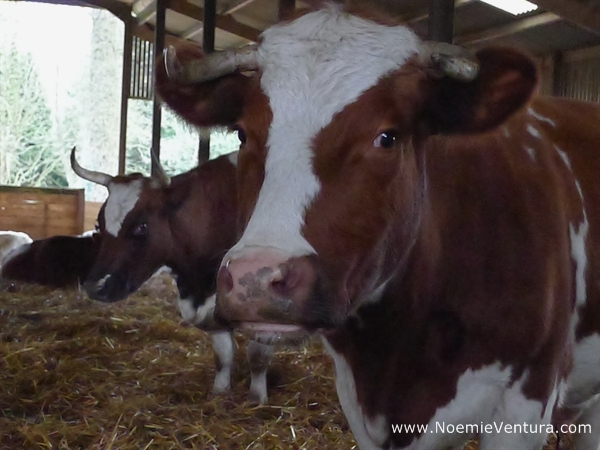 I really feel that there is something special with these Animal Communication workshops with the cows. It’s amazing to watch people feeling that call from the cows. Whoever is meant to be there, will be there. But my heart sunk when I realised last night that we wouldn’t be able to save the cows from their terrible fate. Still, I did hold some hope that maybe we could save one of them (the farmer’s favourite) (who is pregnant) as he had arranged for a lady who lives down the road to have her, but apparently it turned out that she didn’t have any building or any food sorted out for the cow, so the farm ended up saying no. They don’t want the cows to go to a sanctuary either as they are concerned that the place may not have the right facilities to transition the cows out of dairy farming. So they are going to slaughter. Despite all my efforts to find them somewhere to go, in the end it’s not meant to be. I think that these are just excuses though. The core of the matter is more to do with money. If they were willing to let them go for free then they would, but as they could get a significant amount of money for them, they would rather save themselves the bother and make some money. – But they don’t want to die! why are they going to kill them? – No you’re right, I don’t think they want to die. – So they can’t be killed then if they don’t want to die! What about the very big daddy then? He’s not going to die, is he? – I think he will have to go too at some point this year. – But we can’t let the very big daddy go, we can’t! I don’t want him to be killed! No. I don’t want him to be killed either. Now don’t get me wrong, I don’t think that death should be feared and avoided at all costs: when I talk about death with animals, generally speaking they are not particularly scared of dying. In fact, they seem to be able to handle it better than most of the humans I know! For them it’s natural, like a contract you sign when you are born: you accept that at some point you will have to die. They don’t have all the emotional attachements to life and all of the fears surrounding death… BUT they don’t want to be killed, and they are scared of the idea of being in pain, the unknown, the stress, having to go somewhere, to be loaded on a truck… Farmed animals would rather die when they feel they are ready to die and they would like to die peacefully on the farm, where they were born. They usually dont get that luxury unfortunately, as their dead bodies are worth money. They can be sold and eaten so they are transferred to slaughter houses when their carers feel that they have passed their prime in terms of productivity. My hope is to somehow find a way for dairy cows to retire. I have tried to convince the farm to allow some of the older cows to retire and be left to just ‘be’. That was how I was planning to spend the money I get for the workshops with the cows, I wanted to pay for the retirement of one or two healthy older cows so they could stay on the farm, and I was told it was a good idea, one that could be discussed further. I have been told last week that now they need the space. No wonder the cows have been so unhappy lately! Having carers who change their minds all the time and can’t stick to their own decisions must be quite hard to handle, especially if it’s your life that is at stake every time! These are hard decisions to make. And I know that no one is happy to see them go. There will be more happy times. and more sad times too. Farming. What an odd system! I think I will try to contact these four cows in spirit in a few days time and see how they are all doing. Millions of thanks to everyone who responded to my appeal on Saturday. I got to meet some extraordinary people! Thank you for your messages, help and suggestions, I have kept good notes of all the places you have suggested me and I’ll make sure to use them again next time.